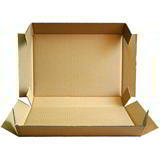 For everyday packing, our massive range of single wall cardboard boxes covers every base. 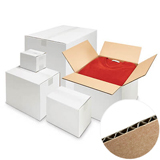 Whether you want low cost brown boxes, smart white boxes, fast and flexible boxes that speed up your packing or boxes specially designed for different products, you’ll find the answer here. 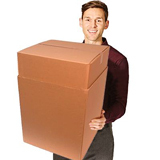 All have a 10kg load capacity and most of the boxes in this section are available straight from stock, with next working day delivery always an option. 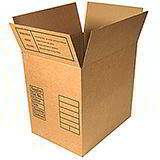 Just place your order before 2:30pm Monday-Friday, and chances are you’ll be ready to start packing the very next day! 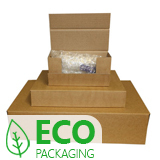 Corrugated cardboard is probably the most popular packaging solution in the world – it’s strong, reliable, made from mostly recycled materials and is reusable, recyclable and 100% degradable. 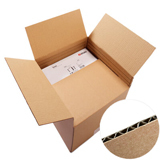 This section features corrugated cardboard cartons ideal forpacking, shipping and storing products weighing no more than ten kilogrammes. 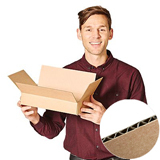 It’s probably the biggest off-the-shelf selection for sale in the UK, with a massive choice of single wall cardboard boxes available in a range of styles. 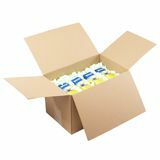 All easy to seal with packaging tape, carton staplers or hot melt glue. 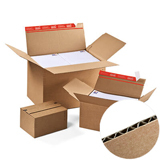 And because Davpack is a manufacturer of cardboard cartons, as well as a packaging supplier, you can buy these boxes in small or large quantities and get the best corrugated packaging protection at the lowest cost. 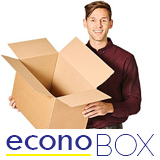 By the way, don’t forget that on the off-chance you can't find the box you need here, you can always fill in our custom made boxes form to receive an immediate detailed box quote.